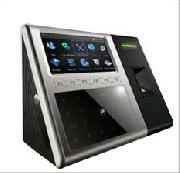 Wipaq offers the coolest series iFace access control system for face recognition in every place and is useful in any establishment such as banks, industries and others. The access series iFace is a sensitive tool and is a fool proof human engineering system. 4,3-inch TFT touch screen, easy operation, a popular and easy interface. Method of detection: the geometry of a person, a fingerprint/RFID and code. Optional built-in backup battery allows you to continuously work 4 o'clock in the blackout. Optional built-in wireless communication WiFi or GPRS allows the installation of equipment easier. Electronic door lock, door sensor, alarm, exit button or wired doorbell. International Standard Wiegand Output signal supported by the majority of controllers on the market.